A project of the University of Manitoba Press. 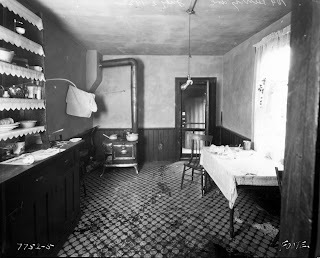 On the day after Dominion Day, 1922, seven men gathered in the kitchen at 109 Henry Avenue, a couple of blocks from Winnipeg’s CPR Station. Among them were 39 year-old Wasyl Spachynski and 49 year-old George Antoniuk. Tensions were strained between the two men, apparently because Antoniuk railed at Spachynski’s claim to be the “boss of Henry Avenue." Following a short, heated quarrel, Antoniuk took out a pocket knife and stabbed Spachynski in the neck, severing his jugular vein. Police called to the scene found Antoniuk standing outside, spattered in blood, and Spachynski on the floor inside. Rushed to the Winnipeg General Hospital, Spachynski died within five minutes. It is not well known that, in addition to his work taking portraits and documenting special events, Lewis Foote also worked as a police photographer. Among the collections at the Archives of Manitoba are grisly photos of corpses and crime scenes, most of which have been taken out of active circulation to dissuade “looky loos." I like this photo — taken by Foote soon after the crime — because, unlike a lot of his photos, it is unposed and raw, showing us what the kitchen of a low-income household in 1922 Winnipeg looked like. Aside from the blood stains, rags, and abandoned cigarette pack on the floor, it seems lovingly well-tended, with plates and containers neatly arranged on the cupboard, a towel drying on a line, pots sitting on the small wood stove, and frilly curtains in the window. Justice for the murdered Spachynski was swift. On 17 November 1922, a jury found Antoniuk guilty of manslaughter and he was sentenced to five years in prison. Today, the scene of the crime is long gone, the building having fallen during construction of the Disraeli Freeway. Gordon Goldsborough is Webmaster, Secretary, and a Past-President of the Manitoba Historical Society, and an editor of Manitoba History journal. He is presently working on an interactive map of historic sites around Manitoba, and is co-authoring a forthcoming book on the environmental history of Delta Marsh. He is also an aquatic ecologist in the Department of Biological Sciences at the University of Manitoba. Esyllt W. Jones lives and teaches history in Winnipeg. She is the author of the award-winning Influenza 1918: Death, Disease and Struggle in Winnipeg (UTP, 2007) and, with Gerald Friesen, edited Prairie Metropolis: New Essays on Winnipeg Social History (University of Manitoba Press, 2009). She is currently working on a reinterpretation of the origins of medicare in Canada. History through the Photographs of L.B. Foote (U of M Press, 2012). Born in Newfoundland in 1873, Lewis Benjamin Foote arrived in Winnipeg in 1902, where he bought a house on Gertrude Avenue and began a career as a professional photographer. 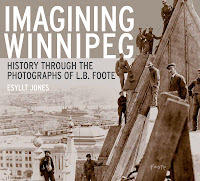 For more than 50 years, Foote’s photographs chronicled the development of the city. He was an active photographer until 1947 and died ten years later. 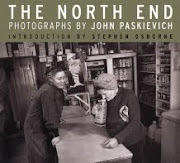 Photographs by John Paskievich (U of M Press, 2007). 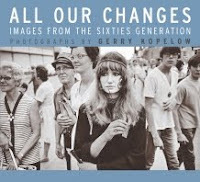 Images from the Sixties Generation, Photographs by Gerry Kopelow (U of M Press, 2009). "L.B. Foote's Winnipeg is a boomtown of staggering abundance and meanest privation. His city teems with a mad sense of community - everywhere people, people and more people, throngs of new citizens forever gathering, spilling over, lining up; everyone held rapt and almost intoxicated by grand ceremony, fevered ritual or political upheaval. So much giddy newness plopped down on top of the nations that came before and on the timeless, pristine, soon-to-be -bedevilled plains. Foote honours human, city and prairie alike with his peculiar and ennobling eye." — Guy Maddin, director of My Winnipeg. In fall 2012, University of Manitoba Press will publish a new book of photos by Winnipeg’s most famous photographer, L.B. Foote (1873-1957), prepared and introduced by award-winning historian Esyllt Jones. There are approximately 2,500 images at the Manitoba Archives but that’s just a fraction of the photographs Foote took in the more than five decades that he documented Winnipeg and parts of Manitoba outside the perimeter. University of Manitoba Press went looking for some of the lost Foote photos...and Manitobans responded, rummaging through their attics and photo albums. UMP would like to thank everyone who submitted photos and shared their stories! University of Manitoba Press is dedicated to producing books that combine important new scholarship with a deep engagement in issues and events that affect our lives. Founded in 1967, the Press is widely recognized as a leading publisher of books on Aboriginal history, Native studies, and Canadian history. 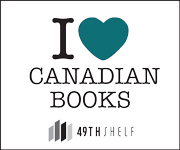 It also publishes a wide-ranging list of books on the heritage of the peoples and land of the Canadian prairies.